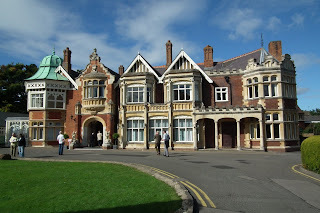 Myself and Keith have often said about visiting Bletchley Park, it is only around 20 miles from our home, but have never actually made it , that is until yesterday. 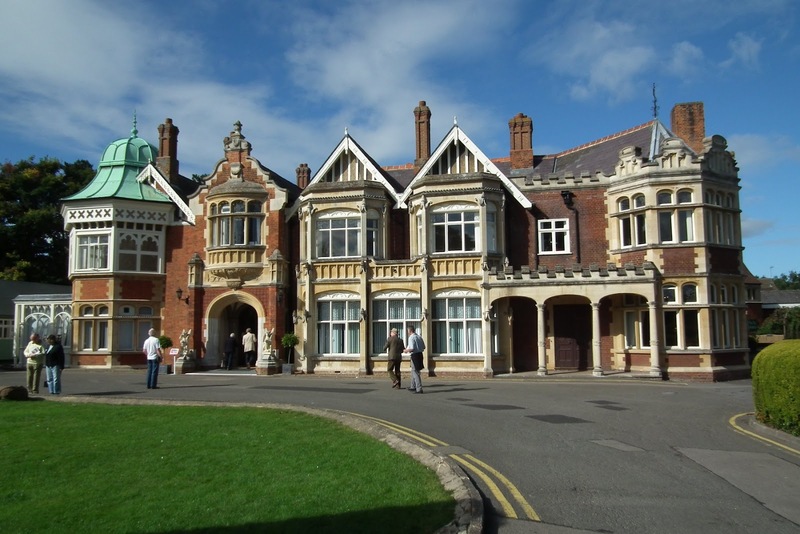 What an amazing place, so much more that just a secret location for code breakers during the 2nd world war. That part of the park was really mind blowing, the machines were so cumbersome, yet so very effective. Very interesting reading about some of the people who were at the park during the war, including Ian Fleming, 007's writer, so know we know where his ideas came from. There is so much to see, including probably the world largest collection of Winston Churchill artifacts, truly vast. The old Post Office was set up as it would have been, days in days gone bye. So much to see and take in, another visit is now due soon, especially as when you buy your main entry ticket is lasts a year, for as many visits as you want, what a great idea. A real thought provoking visit, can't recommend it highly enough. Firstly, sorry about the photo of Keith doing a "mobot", something a two time gold medalist GB runner does after his races, well done Mo Farrah. What a day, we had arrived at the railway station just got all the tickets and were waiting for Keith's son, his partner and our grandson Jake to arrive. Keith's phone went and his son said his car had just blown up and caught fire on the motorway, can I come and collect them. Off we went and realized that the car was only half a mile from the exit junction, and we had to drive all the way up to the next junction, then come back on their side of the motorway, got there picked them up and went to the nearby service area to await the car recovery service. They told us to go and enjoy the day at the Olympic Park and they would return home in a pick up truck. Feeling a little guilty we went up to the park, what an experience, we have never seen so many people in one place, everywhere you looked there were thousands of other visitors. We had a great time and although crowded there was plenty of room for everyone. Really good seeing the park and all the now famous sights there including the Gloriana, which was used in the Queens celebration. Now we are both busy getting ready for Hugglets, London teddy fair this weekend.